My husband just got his first Blackberry and needed a case for running with it. I found the company JAMinnovations and got a cell phone holder for review. This case is great to hold the phone and it can go on your arm too. This is perfect for running. The band comes very large and you can cut it to size so that it fits your arm! They make different sizes of this for different types of phones. This one for the blackberry fits it perfectly. This particular holder costs $23.95. Another great thing about these holders is having your phone on you when exercising may be great to help keep you out of danger if you need to call someone ASAP when running. For me, I like this because if my husband is out running and I want him to hurry up and get home for dinner, I can call him and get him to hurry home! Haha. 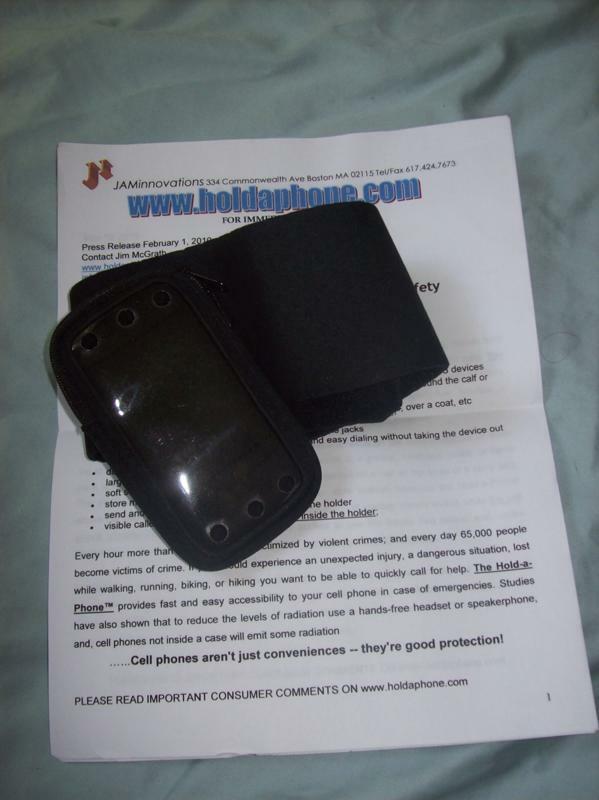 Thanks Hold A Phone for the very useful product for my husband! Following back from MomsReview4You blog hop. Thanks! Feel free to come back tonight 12pm Eastern since the new Wednesday blog hop with be up!